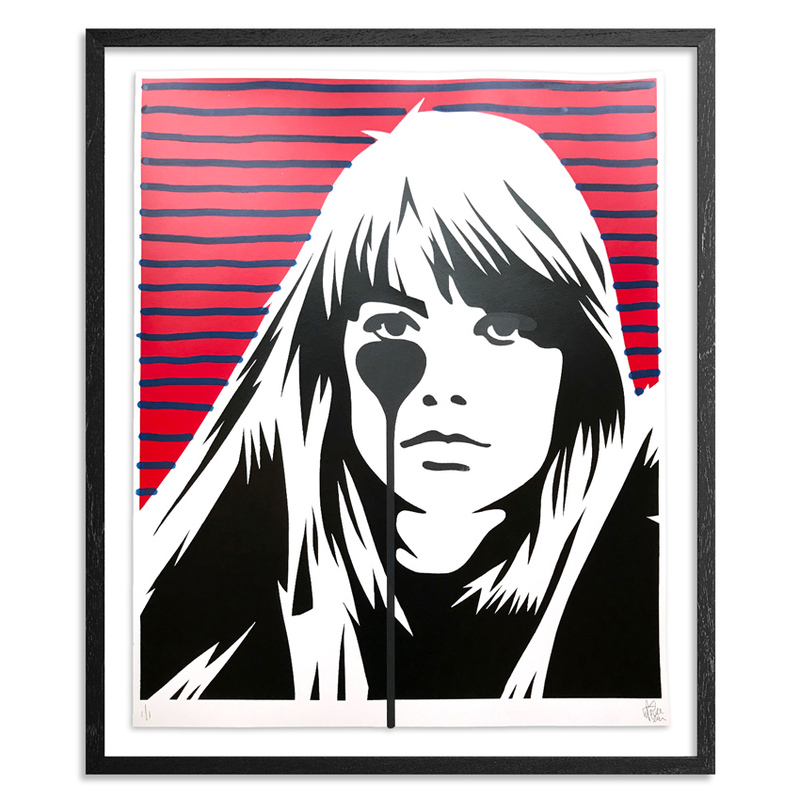 We are excited to welcome back Pure Evil, as the British artist brings us his latest edition from his series of inspirational women, this time featuring Francois Hardy. 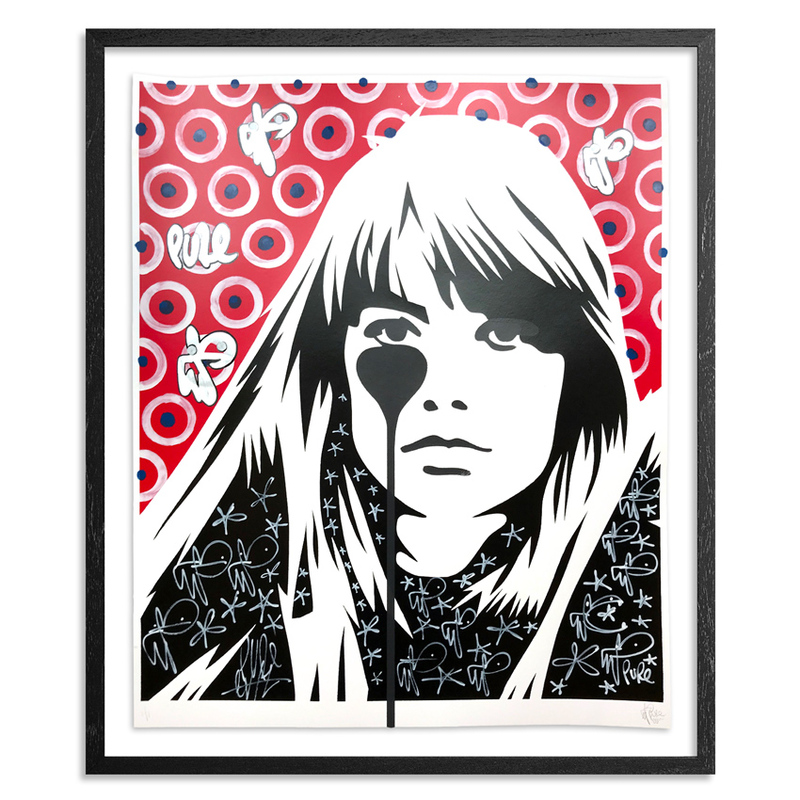 Available as part of our Art Basel Miami 2017 Featured Artist Print Releases in a Black & Red Edition, as well as a variant Endless Summer Edition, these new prints from Pure Evil are hand-pulled in the UK with both editions featuring 10 unique hand-embellished variants as only Pure Evil can do it! Read on for more and snag these editions before they are gone . . . 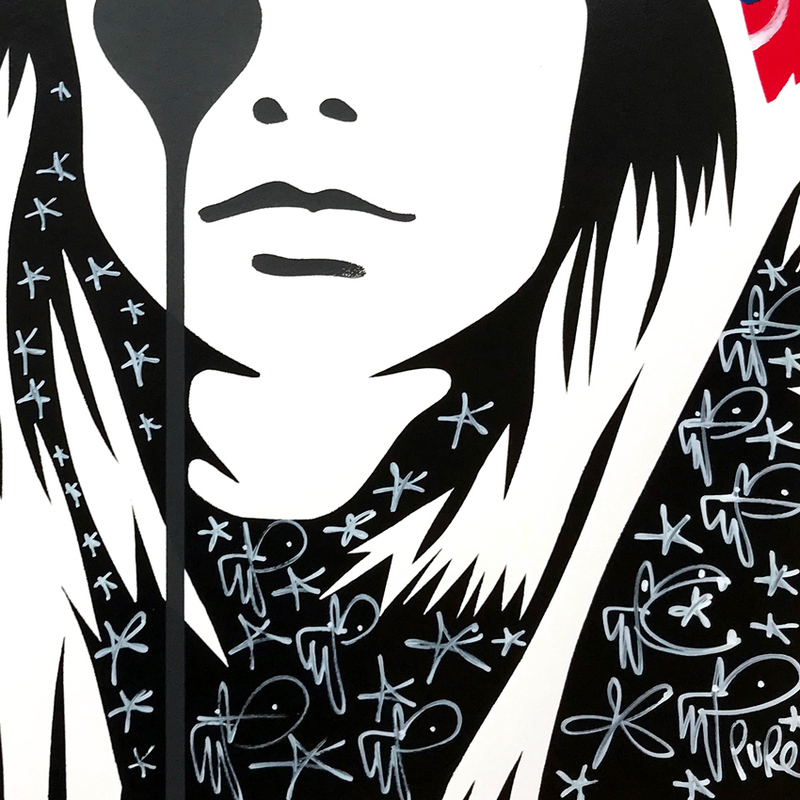 This RUN comes signed by Pure Evil and includes a Letter of Provenance from 1xRUN. Somewhere between the 1535 execution of Sir Thomas More and the year 2000, Charles Uzzell Edwards became the street artist known as Pure Evil. It’s a pairing of an odd lineage that has produced fanged bunnies and Warhol-esque portraiture famous throughout the streets and galleries of the world. A child of Contemporary London and Silicon Valley era San Francisco, Pure Evil is also a child of his times. 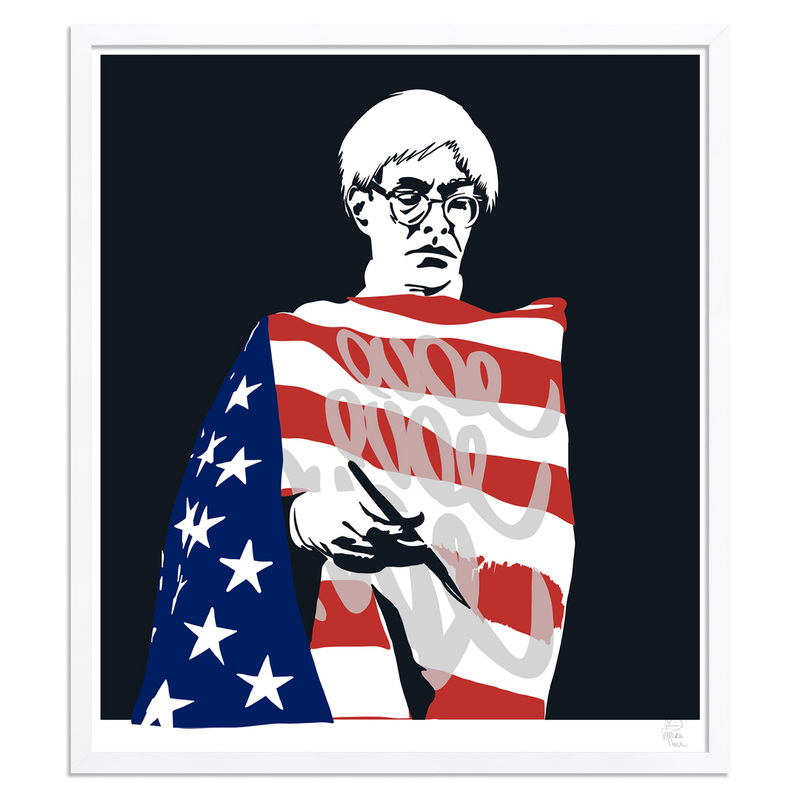 His art of primarily modern icons expresses both biographical signature and western culture critique. 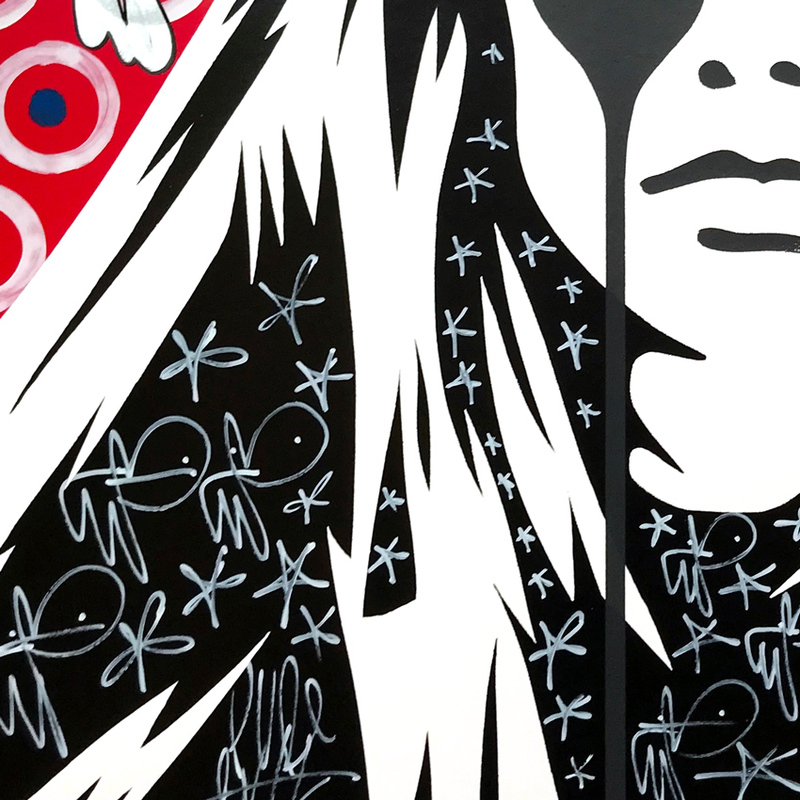 His pop culture symbols are spewed, and therefore viewed, along the urban and artistic landscape from Sao Paulo to Sydney. It’s the artistic and commercial success that has allowed his London gallery to host shows for more than 60 independent artists. 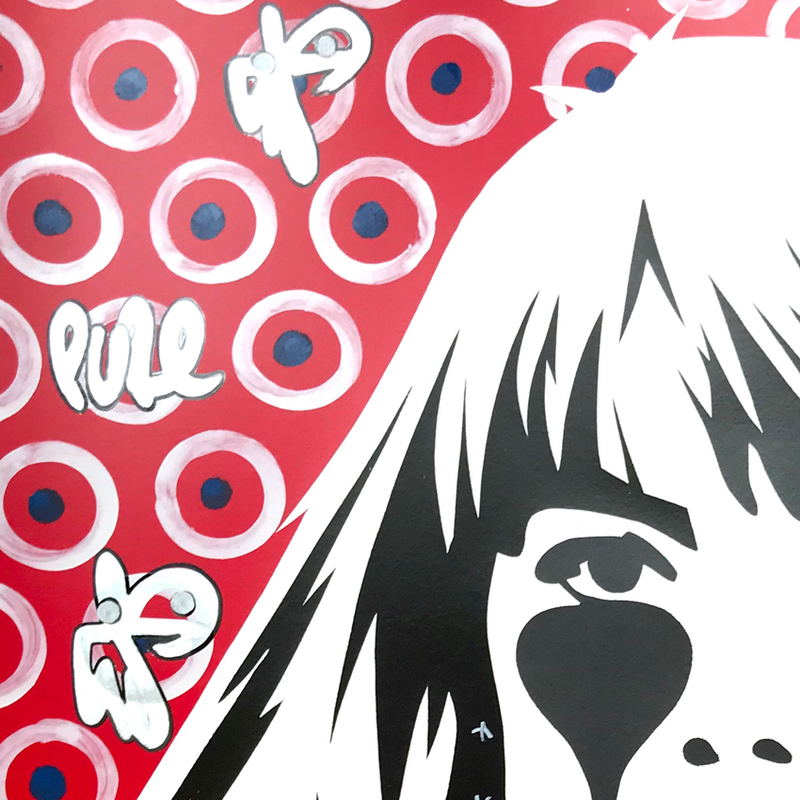 Find more by Pure Evil at pureevilgallery.com.